“I may have to cheat a little and give more than just one word. I have two sets of words that are really important to me, so much so that I actually have them tattooed onto my body. The first being YOU Mヨ the E is backwards as a reflection to mean WE. I had this done in Portugal around six years ago and it successfully reminds me that life is all about a collective US or WE. How does reading Shantell’s words make your body fell? Take 5 minutes, close your eyes and really feel your body, really feel YOU. Be present and connect yourself to the moment! 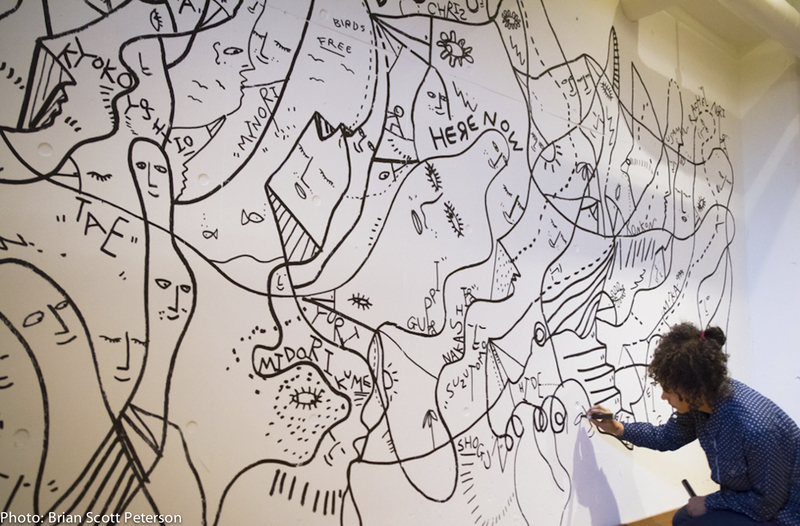 This is the peculiar, unique, thing of Shantell’s art. I was introduced to Shantell’s art & thouhts through the Pecha Kucha presentation she did in Tokyo. I was very inspired and amused by her words. She talked about COLLABORATION & YOU. “Sometimes we are lost in hour head… we pass 99% of the day away in our heads, looking at our computers, i-phone’s (I’m still safe on this prospective I don’t have one) when actually we can go outside or stay still and feel… our body”. By just exploring the emotions which are inside us, we can be inspired. Connect to people and the moment, react to all the colourful energies that will surround you and spin your work, mind, heart around. Be enriched by surprising moments; improvise… expressing the instant feelings and let them go. How amaizing it is! Yes, this is the power of collaboration, which brings you as a person and as creative onto a higher level. 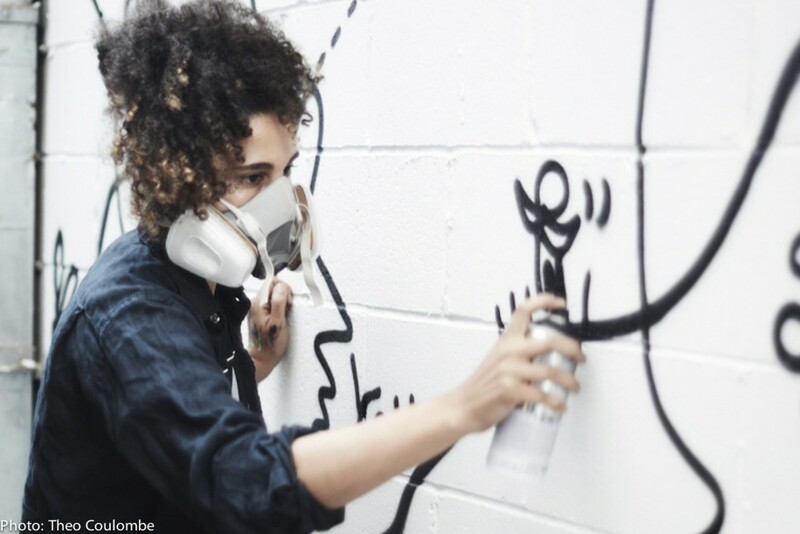 From London to Tokyo to New York and back again, internationally acclaimed visual artist Shantell Martin is expanding conventional definitions of drawing and animation to transform visual experience in the design, fashion and music industries. Her dazzling light projections have been featured in iconic spots such as New York’s Museum of Modern Art, the megaclubs of Tokyo and Russia, and on the enormous screens at Shibuya and Harajuku crossings in Tokyo.